Bingsu is the famous dessert in Korean. Before I visit here, I knew it from a blogger friend and she keep recommend me must visit here. And now I know it. Located same row with A Pie Thing which you can easily saw their signboard from the main road. 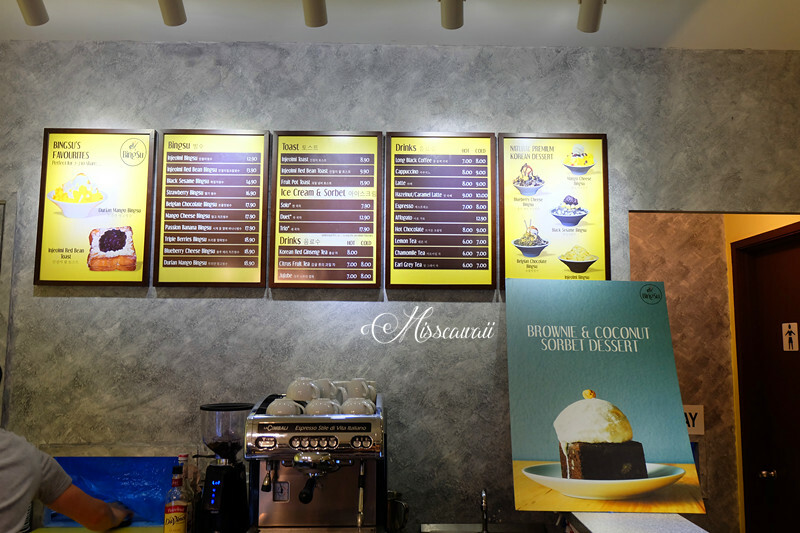 Beside bingsu, they served toast and other drinks as well. This day we have take order 3 flavor bingsu. This is one of the new flavor in their cafe. 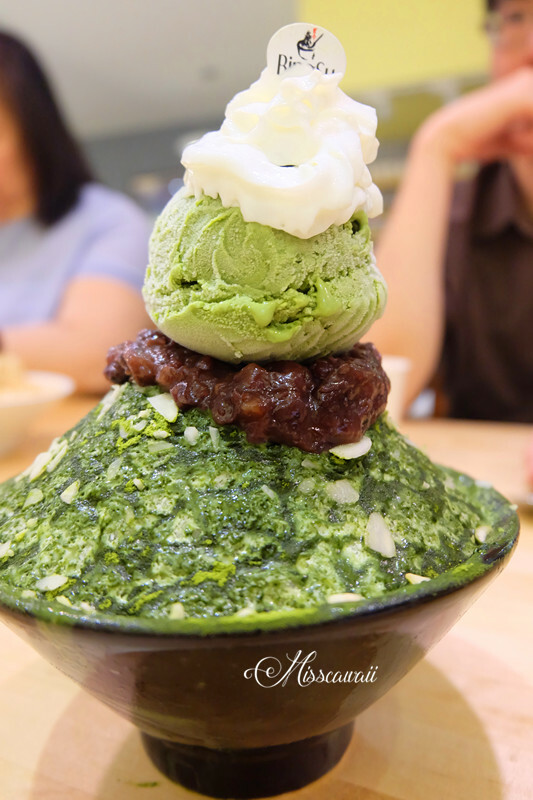 Come with red bean in, shaved milk ice, green tea ice cream and topped with cream to bring you richness of the green tea flavor. The sweetness just right for this. This will be the girl's favorite all the time. This bingsu is come with brownie cubes, shaved chocolate ice and topped with Belgium chocolate ice cream. 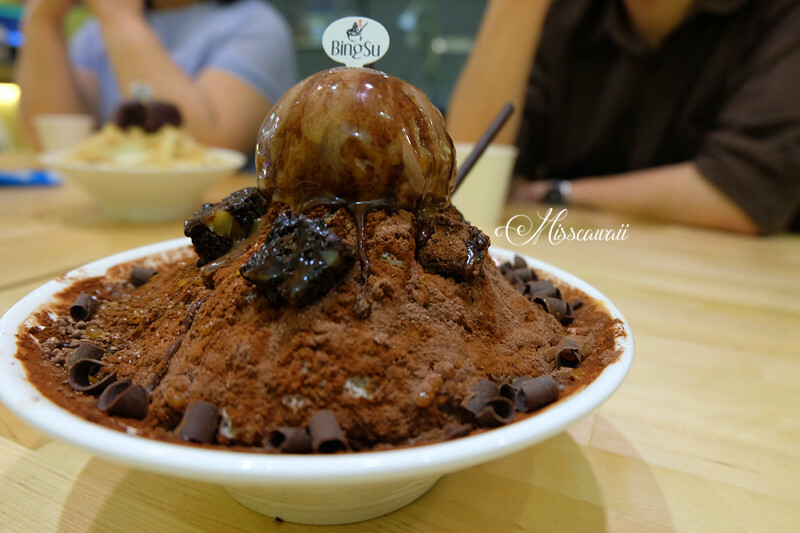 This bingsu is totally full with chocolate, you should not missed this if you are chocoholics. 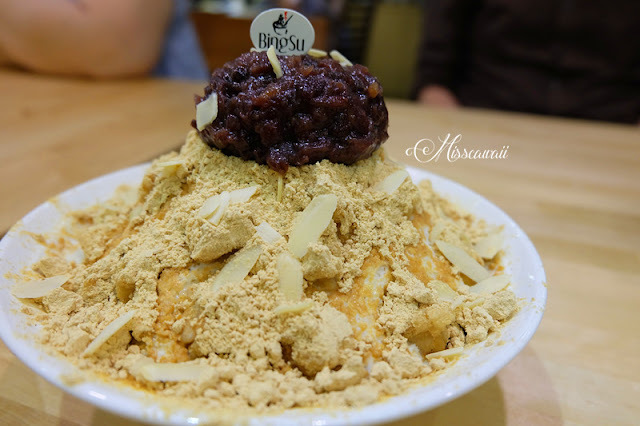 The special of this bingsu is mixing between ricecake and redbean, covered with Korean roasted soybean powder where you can really taste it and melts in your mouth immediately. The bingsu here is totally different what I had from other. 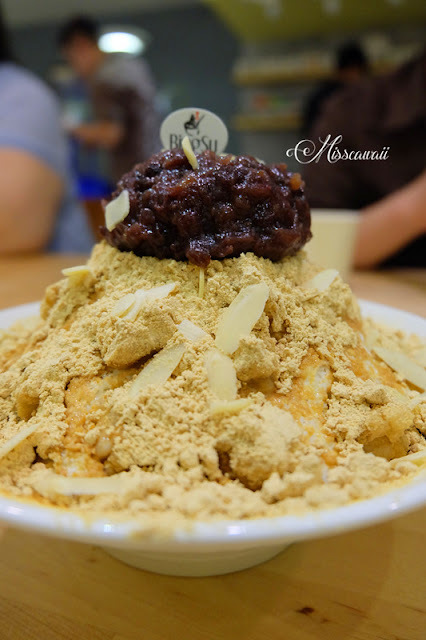 I like their bingsu because of the shaved ice is make with milk and the texture totally fluffy like snow flakes. Recommended Belgium Chocolate Bingsu and it will not disappoint you. Oh my.. all the bingsu looks so tempting.. I wanna eat! wow...looks so delicious!! !I like the ricecake and redbean favor!!! am not so much into sweet desserts but I do enjoy the mild sweetness of Korean bingsu :) And they look fun as well. I love eating this Korean dessert of Bingsu. I always suffer from brain freeze and yet I come back for more. been here as well. My favourite is the mango cheese bingsu. the nice, cosy and relax setting is to go for! I would love to try Bingsu. I think for the pricing, it was not that expensive. I've visited once and i really love their bingsu too! I would love to try the Belgium Chocolate Bingsu! Looks so yummy. 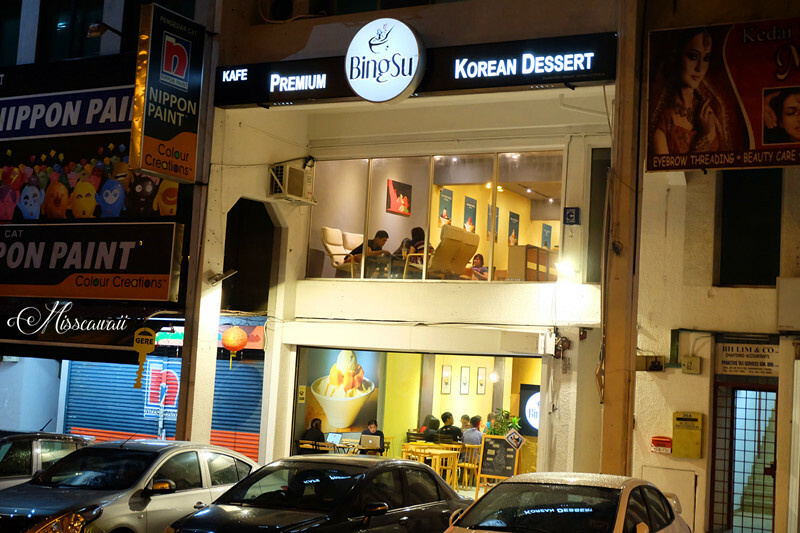 The bingsu looks so yummy =D Have been eyeing this for sometime but haven't visit this cafe yet!! definitely will go with my friend who loves red bean! the dishes look amazingly delicious! wow this is amazing, ive always wondered where else to have desserts. The Belgium Chocolate Bingsu looks so mouth watering.